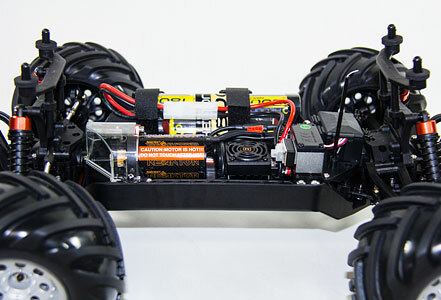 I have played with RC for a long time, of course when I was a kid I had those cheap-o K-mart RC cars. I got my first job when I was 12 or 13 and I saved up for an RC boat called the Nitro Viper GT, I didn’t get to play with it much because I was in southern Arizona and finding enough water to run the thing was a little hard to come by. A few years ago I got into RC helicopters. I was always fascinated by helicopters then in the military I worked on the APACHE helicopter so it came pretty natural. I started with a cheap-o double horse RC heli then upgraded to a large Walkera 400d. I also added a few smaller LM180d01 and LM130d01 helicopters to my collection. I will talk about all these and review them later.I have played with RC for a long time, of course when I was a kid I had those cheap-o K-mart RC cars. I got my first job when I was 12 or 13 and I saved up for an RC boat called the Nitro Viper GT, I didn’t get to play with it much because I was in southern Arizona and finding enough water to run the thing was a little hard to come by. A few years ago I got into RC helicopters. I was always fascinated by helicopters then in the military I worked on the APACHE helicopter so it came pretty natural. I started with a cheap-o double horse RC heli then upgraded to a large Walkera 400d. I also added a few smaller LM180d01 and LM130d01 helicopters to my collection. I will talk about all these and review them later.I have played with RC for a long time, of course when I was a kid I had those cheap-o K-mart RC cars. I got my first job when I was 12 or 13 and I saved up for an RC boat called the Nitro Viper GT, I didn’t get to play with it much because I was in southern Arizona and finding enough water to run the thing was a little hard to come by. A few years ago I got into RC helicopters. I was always fascinated by helicopters then in the military I worked on the APACHE helicopter so it came pretty natural. I started with a cheap-o double horse RC heli then upgraded to a large Walkera 400d. I also added a few smaller LM180d01 and LM130d01 helicopters to my collection. I will talk about all these and review them later. 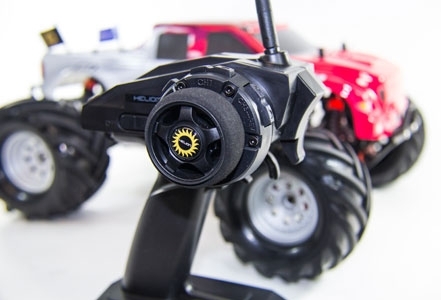 I have been wanting and drooling over the Traxxas Revo 3.3 however while at Hobby Town yesterday I spotted the Summit and forgot all about the Revo 3.3, I then wanted the SUMMIT with every fiber of my being, sadly my pocket book is leather and pulling that many fibers from it was a little hard to chew on. 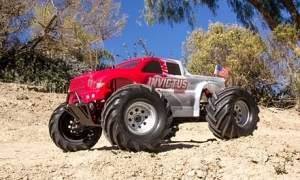 Then I spotted the Invictus bushless 10MT 1/10th scale monster truck by Helion, the price point was a little more affordable at $289 so I picked it up along with an extra 5000mah battery from Venom. 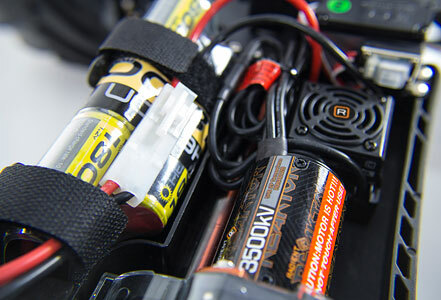 You know they really need to figure out a way to charge these dang batteries so that you can play with your new RC as soon as you get home, but alas I had to wait. When I got home I opened up the package and set the Car on the table. I got out the battery and plugged it in to the included charger which stated it would take 4 – 5 hours on the initial charge. Off I went searching for my charger/balancer that I always used for my helicopters. I charged the 5000mah battery on that one at 2.5 amps and it took roughly 2 hours. Then I got to play. The handling was pretty good, I had to adjust the trim right off the bat but that is to be expected. We have some large open fields so I got to run it wide open. Of course this entire time my daughter was with me and laughing and giggling. One dog was always with us and really wanted to play with the car as well, he ran after it, tried to bite it but honestly unless i slowed down he couldn’t catch it. I rolled it on its top in the first 2 minutes but no damage was done. I was picking up some speed towards some mulch to see if I could catch air…. I caught air alright. About 2 feet up and at least 6 flips onto the top. CRAP so I go to the truck to make sure that everything is ok and notice that one of the body clip pins is missing. “Well thats gone” but my daughter had the idea to go get the magnetic sweeper and to my surprise she found it. On the 5000mah battery we probably ran a little longer than we should have because the battery was flaming hot, but it was probably near 30 minutes or so. I expect to get about 10 minutes out of the 1800mah battery that came with the truck. I can’t attest to the advertised 40mph speed as I don’t really have a way to check it besides following with a car and I don’t really want to run it on pavement yet. Of course my little one wanted to get her own RC car but I explained to her that once I get tired with this one she will inherit it when I get a new one, so she is all excited and picking out a new body and colors for when it is hers. Likely it will be about a year before I buy another one but soon this thing will be pink and purple I guarantee. So I am highly anticipating my next play time, both batteries are charged and ready to go. The problem? Why am I not running this thing now? FRICKEN rain, yup piss pouring rain. Come on man, not only has it rained every day of my staycation (kind of like a vacation except you don’t go anywhere) so far it has to continue after I get the outdoor toy? Anyway so far I am pleased with the purchase and will likely switch the batteries over to LiPo from NIMH as the NIMH seems to run hot. Apparently there is a 12v fan that they recommend for switching this over but I cant seem to find it even with the part number they give in the manual. 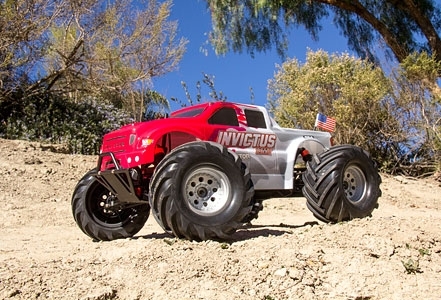 Anyway if you are looking for a decent RC truck to start with I would have to say at this price point and for the beginner this isn’t a bad choice at all. Below are some pictures from the MFR, the version I got is blue rather than red. Pictures of my actual unit to come with other posts. Next Post:PS3 wont read discs after update?